With your torso protected by the Shapur Leather Lamellar Armour, you march forth towards the enemy encampment. 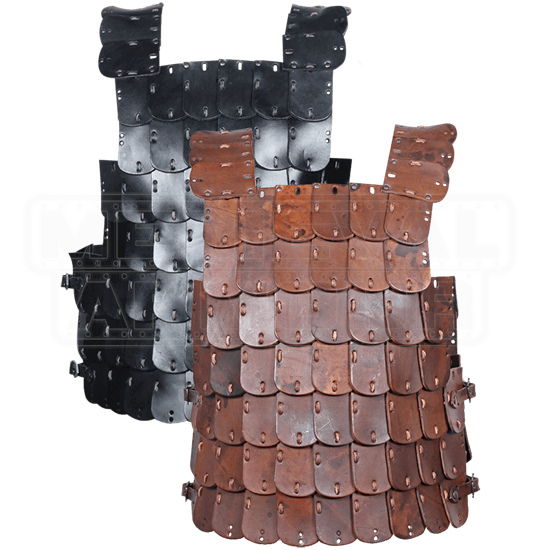 A multitude of sturdy leather scales closely laced together makes up this unique historically-inspired armour harness. Each rectangular lamellae, or scale, secures to the next via matching leather cord. The plates feature curved bottom edges, which together creating a sleek look reminiscent of dragon scales. Adjustable buckled straps at the sides of the leather harness grant the wearer a secure fit. Great for warriors inspired by ancient Asian, Roman, and fantasy armour styles, this high-quality leather harness allows for great mobility along with its protection. 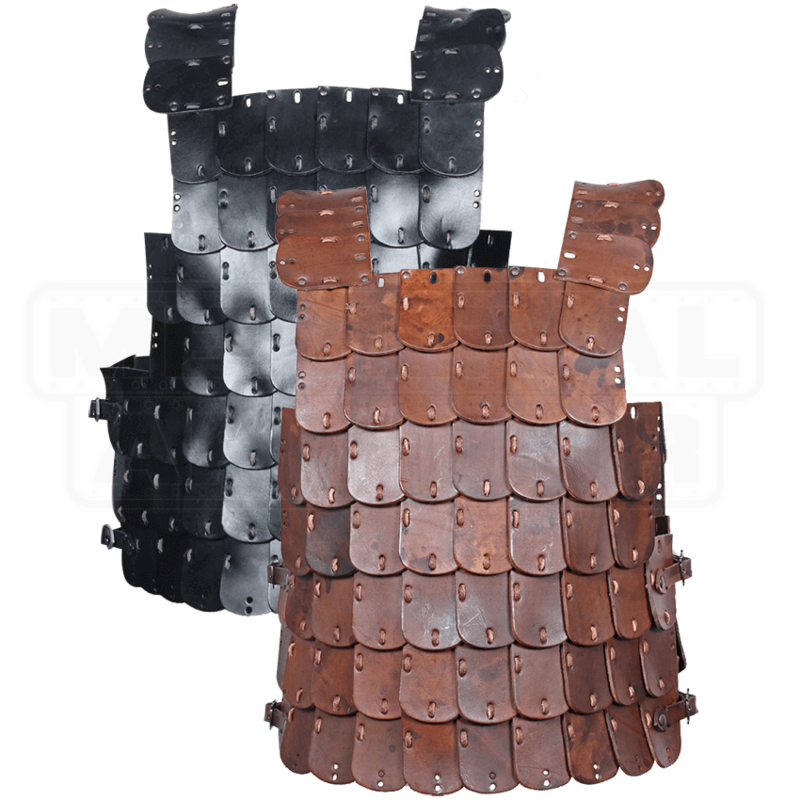 Finished with an antique patina for a rustic warrior look, the Shapur Leather Lamellar Armour is great for fantasy LARP and historical costuming events.